(SI) Udorna kraška dolina med Cerkniškim in Planinskem poljem, v kateri se vode vzhodnega kraka Ljubljanice imenujejo RAK. Ljubljanica tu znova pokaže enega od svojih načinov oblikovanja kraškega sveta. Opis tega Geološkega zaklada je dolg. Prosimo, preberite ga in si zapisite naloge za vpis se pred obiskom zaklada! 1. Spustite se v udornico pod zacetkom naravoslovne ucne poti, kot je opisano v tocki Dostop 1. Tam se spustite po poti do brega Raka (waypoint QUEST1). Stojite v jami, ki pa ima veliko odprtin. Oglejte si jih. V odgovoru jih nastejte ter opisite njihovo lokacijo in velikost. 2. V udornici s koordinatami Geološkega zaklada (tisti z mosticem), poiscite vsaj en primer kraskih oblik, ki jih je ustvarila voda pronicajoca skozi jamski strop. V pomoc: oglejte si strop jame, ki vodi proti Zelskim jamam (waypoint QUEST2). Opisite kaj ste videli. Alternativno: taksne tvorbe najdete tudi na drugih mestih v Rakovem Skocjanu. Ce vam to uspe, opisite kaj in kje ste opazili. 3. Zelo bomo veseli, ce kaksno zanimivo fotografijo z mesta zaklada prilozite svojemu vpisu (logu) obiska. - Preden vpisete obisk zaklada, posljite odgovor preko GC profila ali neposredno na e-naslov vane.si.geo@gmail.com. Takoj potem lahko vpisete obisk zaklada na spletu – ne potrebujete dodatnega dovoljenja. Ce ste fotografirali, prosimo, prilozite kaksno fotografijo. - Vpisi brez ustrezne spremljajoce e-poste, ki vsebuje pravilne odgovore, bodo najprej trajno kodirani, kasneje izbrisani! - Vpisi, ki vsebujejo odgovor bodo izbrisani! (ENG) Collapse valley between Cerknica and Planina karst polje, where waters of Ljubljanica are called RAK. This interesting valley is another showpiece of river Ljubljanica surface reshaping capabilities. This EarthCache has a long description! Please, read it and write down logging tasks before visiting the EarthCache site! 1. Descent to collapse doline under the Stop No.1 of Nature Trail. At waypoint QUEST1, stop at the edge of Rak river and look around. You are standing in the cave with many openings. Take a look at them. Write the number and describe the size and location of openings in your answer. 2. Continue to next collapse doline (or descent from road), to the one with stone bridge and EarthCache point. Find at least one of karstic features formed by water seeping through cave ceiling. Hint: taka a look at cave ceiling of the cave leading towards Zelse Caves at waypoint QUEST2. Describe what you have seen. As an alternative: you can find this kind of features at other places in Rakov Skocjan too. If you have found any, describe what and where you have seen them. 3. We would be glad if you added interesting photos from the EarthCache location to your log. - Send answer through GC profile or directly to e-mail vane.si.geo@gmail.com before logging. After that you can log - you don't need an additional permission to log. Please, upload photos if you have taken them. - Logs without an accompanying e-mail containing correct answers will be encrypted and later deleted! - Logs containing the answer will be deleted! for a complete list of our EarthCaches and a lot of additional information. You can find a lot about Ljubljanica river there and about other EarthCaches connected to this famous kastic river (LJUBLJANICA-Retovje, UNICA-Planinsko polje, OBRH-Loško polje). Ljubljanica is not just a short river from Vrhnika to river Sava! In fact, it is a mysterious river with at least seven names. It flows through Rakov Skocjan under a name Rak. COLLAPSE DOLINE ... Doline is a basin or funnel-shaped hollow in limestone, ranging in diameter from a few meters up to a kilometer and in depth from a few to several hundred meters. Cliff-bounded basins – collapse dolines - have been formed by collapse over a cave. UVALA ... A Serbian / Croatian term for an elongated closed depression in karst that is commonly dry or with periodical small sinking streams or inundations. They are generally a few hundred meters long and may be considered as a small polje. Rakov Skocjan, a charming little karst valley, only about 2,5 km long and up to 300 m wide, lies hidden in the forest beneath Javorniki Monutain, close to renown Cerkinca Lake. Valley is a small piece of land which reveals many karstic phenomena. Rakov Skocjan has been named after church of St. Kanzian, built at the end of 15th or beggining of 16th century. Today only ruins remain. Valley has intrigued researchers already a long time ago. 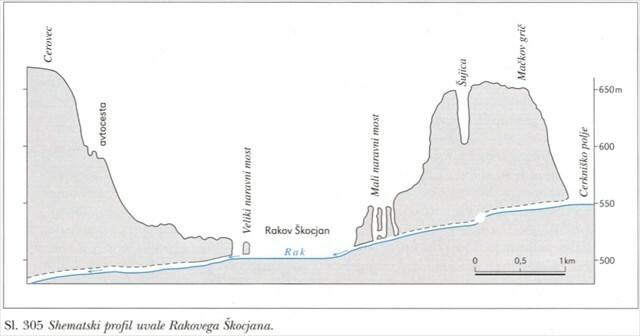 In the 17th century a scholar Janez Vajkard Valvasor, the one responsible for revelation of Cerknica Lake's »miracles« to the world, researched Rakov Skocjan too. Rakov Skocjan has been given a status of natural monument in 1949 already. Today it is a part of Notranjska Regional Park. In the past, forming of the Rakov Skocjan has been quite correctly attributed to collapse of the cave ceiling. As far as we know today, the most probable cause is tectonic sinking of Rakov Skocjan together with wider surrounding area – sinking of uvala, as some karstologist would call this kind of area and collapse of the cave ceiling. This uvala is therefore tectonic depression where cave ceiling collapsed at the part where it became too thin. … depend on height of water at Cerknica polje. 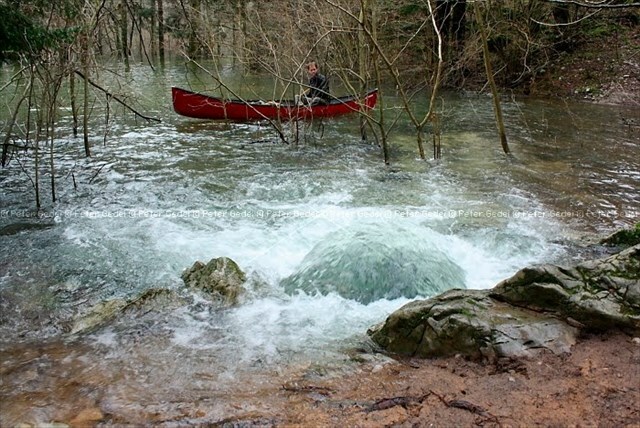 Valley has inflow springs and outflow ponors – typical for karst valley. Rak river springs from Zelse Caves which are fed with waters from Cerknica polje. In the times of high waters, Rak is swelled by many springs from the southern side of valley. One of the more permanent, larger springs is Prunkovec, near the Rak source. The strongest among the occasional ones is source Kotel (a kettle) flowing from small lake which water level varies widely: it is often completely dry but with plenty of water during middle and high waters. At the outflow part of valley, Rak flows under The Big natural Bridge and after short canyon flows into Tkalca Cave towards Planina polje. In the dry season all Rak waters sink before they reach The Big natural Bridge and flow underground directly towards Skratovka sources at the eastern side of Planina polje. But Rak can swell so much in the wet season to change complete valley into a lake and even overflow lover parts of the road. The lake is deeper than 10 m at such an occasion. In the extreme situations complete opening of The Big natural bridge is sunken under water. There are many natural sights to see in Rakov Skocjan and some remains of human efforts. In the upper part of valley Zelse Caves end in the maze of dolines, where cave ceiling collapsed at many places. Depth of dolines is from 8 to 50 m! The most visited are the last three dolines on the Rak valley side. The Small natural Bridge spans between two dolines, about 40 m above Rak river. Descent under Small bridge eases our understanding about shaping of water channel and it’s growth from several caves, like those we can see in the side cliff of dolines. There is an interesting small stone-arche bridge built in the second collapse doline, safely reachable at low water level (or directly from southern edge of doline). Bridge is spanning the river at the place where an old saw-mill, named Zelse-sawmill, used to stand. Not very much further downstream, second one – Rak-sawmill used water power. The third one has been a large Modec-sawmill, just about 200 m from Rak spring. Large flood in year 1853 spelled the end of them all. Flood water completely destroyed Zelse-sawmill and damaged other two beyond repair. The Big natural Bridge (Veliki naravni most), already mentioned before, stands at the end of Rak river valley. Its opening is 12 m wide and about 15 m high. This is a mighty remain of once-upon-a-time large, long water cave. Rak flows in the open for the last time in a short canyon, about 150 m long, between the Big natural Bridge and entrance into Tkalca cave. The canyon is of cave roof collapse origin too. Collapse of the canyon roof happened quite recently, comparing to collapse of ceiling above Rak valley. Therefore canyon’s walls are still merely vertical rocky cliffs. - collapse valley (Rak river valley): in time, further tectonic sinking, water erosion, sediments and plant cover softened sharp features of rocky cliffs and shaping valley as can be seen today between Rak source and Big natural Bridge. Stop No. 14: Ruins of St. Kanzian church, which has been built close to the Big natural Bridge, with a great view of the lower part of the Rak valley on one side and canyon in front of Tkalca Cave at the other side. There are many details explained about plants, animals and habitats at other stops along the Nature Trail. Each site is equipped with explanatory boards, but sadly, in Slovenian only. And some of the boards are in bad condition too. 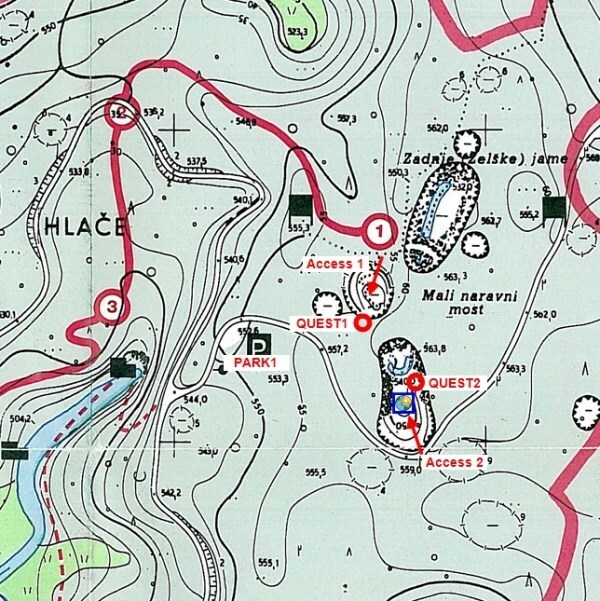 You can use short English description of the trail stops from our web-site Ljubljanica EarthCaches. 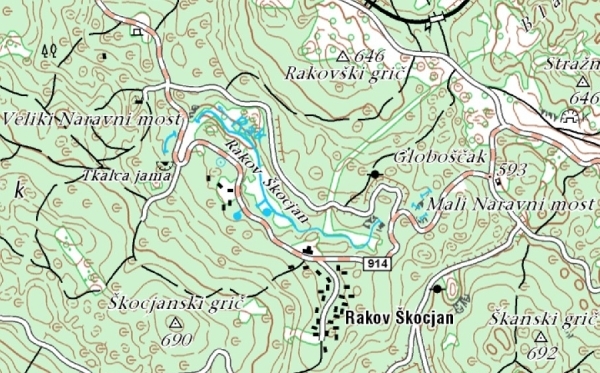 You can also find detailed map of Rakov Skocjan with Nature Trail there. The trail is really pleasant to walk and sights shown to a visitor are a rewarding experience. Besides all the monuments and sights mentioned above, the most amazing fact is that the Rak river valley is here to be seen at all! There would be no valley without complex mix of tectonic sinking and intense karstic influence of Ljubljanica - underground Ljubljanica water track would still be out of our sight at this wonderful place. 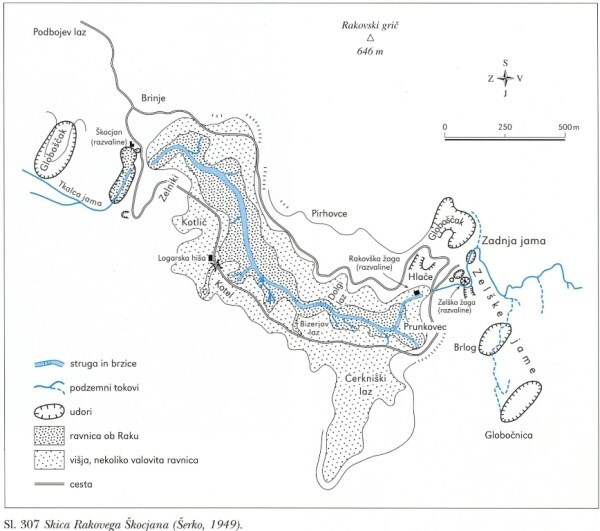 ...coordinates are set in the second larger collapse doline downstream from Zelse Caves. Zelse saw-mill used to stand here, today slender, small stone bridge spans Rak river. This spot is almost always accessible, even at time of high waters. The only time we do not advice to come down here is during winter, when trails were ice-covered. 1. From Nature trail: Go from parking area (waypoint PARK1) to Stop No.1 of Nature trail. Turn right there and follow footpath down into collapse doline. Path reaches Rak river at waypoint QUEST1. Answer question No.1 there. When water is low enough (most of the time) you can continue towards left, upstream, through water-cave. Here you reach another collapse doline, the one with EarthCache point. Cross stone bridge there and answer question No.2 before entering another water cave (waypoint QUEST2). 2. From road Rakov Škocjan – Zelse: You can descend into collapse doline with EarthCache point directly from road, using footpath. This is possible even when path through water caves - along Rak river is flooded. We suggest you also follow path through water cave upstream. When you come to daylight again, you stand under the Small natural Bridge, not far from entrance to Zelse Caves. This collapse doline is undoubtedly the most attractive place in Rakov Skocjan, except maybe the interior of the Zelse and Tkalca caves. Roads and trails to EarthCache are public, there are no entrance fees. Note: You use trails at your own risk. Use only trails you are fit to. Be safe and enjoy! za seznam vseh nasih Geoloških zakladov in mnogo dodatnih podatkov. Tam izveste tudi vec o reki Ljubljanici in ostalih Geoloških zakladih iz nase serije o Ljubljanici (LJUBLJANICA-Retovje, UNICA-Planinsko polje, OBRH-Loško polje). Ljubljanica ne tece samo od Vrhnike naprej. V resnici je to skrivnostna reka z najmanj sedmimi imeni. Pod imenom Rak se pretaka skozi Rakov Skocjan. V severozahodnem delu Notranjskega regijskega parka, v zaledju svetovno znanega presihajocega Cerkniskega jezera in ob vznozju Javornikov, lezi ocarljiva, okrog 2,5 km dolga in do 300 m siroka kraska dolina Rakov Skocjan. Na majhnem koscku kraskega sveta se skrivajo stevilni kraski pojavi, ki so med drugimi pritegnili tudi znamenitega ucenjaka Janeza Vajkarda Valvasorja v 17. stoletju. Rakov Skocjan je kraska dolina med Cerkniskim in Planinskim poljem, po kateri tece reka Rak. Ime je dobila po cerkvi sv. Kancijana, ob zahodnem delu doline domnevno zgrajeni na prehodu iz 15. v 16. stoletje, od katere so zdaj vidne le se razvaline. Rakov Skocjan je bil ze leta 1949 zavarovan z republisko odlocbo kot naravna znamenitost, danes pa je to krajinski park. Stara razlaga za nastanek Rakovega Skocjana je bila pravzaprav pravilna - zrusitev stropa v jamo. Po novejsih spoznanjih je po vsej verjetnosti slo za kombinacijo tektonskega ugrezanja celotne uvale, v kateri Rakov Skocjan lezi in zrusitve jamskega stropa na predelu, po katerem danes tece recica Rak. Ta uvala je torej tektonska kotanja, v kateri se je zaradi splosnega znizevanja povrsja jamski strop zrusil na mestu, kjer je bil najtanjsi. ...so odvisne od visine voda na Cerkniskem polju. Dolina ima na pritocni strani izvire in na odtocni strani ponore; kar je tipicno za dolino s kraskim dotokom in odtokom. Rak izvira iz Zelskih jam, po katerih se vode prelivajo s Cerkniskega polja in izpod Javornikov. V Rak se z juzne strani doline ob visoki vodi zlivajo vode iz stevilnih izvirov. Vecji trajnejsi izvir je Prunkovec, blizu zacetka doline. Najmocnejsi med obcasnimi pa je izvir Kotel, ki je najmocnejsi juzni izvir ob srednjih in visokih vodah. [slika 4] Ime Kotel postane razumljivo ob visokih vodah: voda iz njega dobesedno vre! Na odtocni strani se Rak najprej prebije pod Velikim naravnim mostom in za krajsim kanjonom odtece v Tkalca jamo proti Planinskemu polju. Rak v casu nizkih voda ponikne ze pred Velikim naravnim mostom in je povezan z izviri Skratovka na Planinskem polju. Ob visokih vodah pa Rak lahko preplavi celo najnizji del ceste. Tedaj nastane tudi vec kot 10 m globoko jezero, v izjemnih primerih voda seze nad odprtino Velikega naravnega mostu. V parku je vec naravnih znamenitosti in nekaj ostankov dela cloveskih rok. V zgornjem, zatrepnem delu, se Zelske jame zakljucijo v preluknjanem svetu, kjer se je jamski strop udrl kar na mnogih mestih, globine udornic pa so od 8 do 50 m. Najbolj znane in obiskane so zadnje tri udornice, preden se voda prelije v dolino Raka. Med dvema od njih, se 40m nad Rakom pne Mali naravni most, ki je ozek ostanek jamskega stropa med udornicama. Spust z razgledisca po stezi do Raka pod naravnim mostom nas nagradi s spoznanjem, kako je vodni kanal nastal iz stevilnih votlin, kakrsne se odpirajo v stenah udornic. V drugi udornici, ki jo dosezemo ob nizji vodi, je na mestu sedanjega kamnitega mostica vcasih stala Zelska zaga. Le malo nize, kjer se Rak iz udornic skozi rov prelije v dolino, je pod brzico vodno moc nekdaj izrabljala Rakovska zaga. Kakih 200 m nize po toku pa je stala velika Modceva zaga. Velika povodenj, leta 1853, je pomenila konec zagarstva v Rakovem Skocjanu. Visoka voda je Zelsko zago povsem unicila, da danes ni vec niti rusevin, ostali dve pa sta bili tako poskodovani, da ju niso vec obnavljali. tocka 14: Ostanki cerkvice Sv. Kancijana, zgrajene blizu velikega naravnega mostu, s cudovitim razgledom na spodnji del doline Raka na eni ter kanjona pred Tkalca jamo na drugi strani. Na ostalih tockah je mnogo podrobnosti povezanih z rastlinstvom in zivalstvom in razlicnimi zivljenjskimi prostori. Besedila na tablah so le v slovenscini, nekatere table pa so tudi ze v zelo slabem stanju. Zato si lahko kratke opise vseh tock poti preberete na nasi spletni strani Ljubljanica EarthCaches. Tam boste nasli tudi podroben zemljevid Rakovega Skocjana, z vrisano ucno potjo. Ob vseh nastetih zanimivostih pa je pravzaprav najbolj posebno dejstvo, da se je dolina Raka sploh razkrila belemu dnevu. Brez prepletenih povezav tektonskega ugrezanja in intenzivnega kraskega delovanja Ljubljanice udorna dolina ne bi nikoli nastala in bi bila podzemna pot Ljubljanice se danes skrita ocem. Koordinate Geološkega zaklada so postavljene v drugo vecjo udornico nizvodno od Zelskih jam. Tu je nekoc stala Zelska zaga, danes pa se tam cez Rak pne ozki kamniti mostic. Dostop je mozen skorajda vedno, tudi ob visokih vodah. Odsvetujemo ga le pozimi, kadar je pot poledenela. 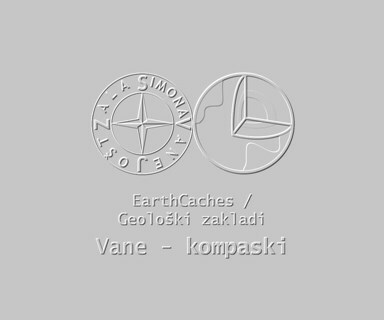 V pomoc vam bo tudi skica udornic [image 5] z vrisano EarthCache tocko in tockami z vprasanji. 1. Od zacetka naravoslovne poti: Od parkirisca (waypoint PARK1) se napotite k zacetku naravoslovne ucne poti. Po poti, ki vas je privedla do table pri tocki st. 1, se spustite desno navzdol, v udornico. 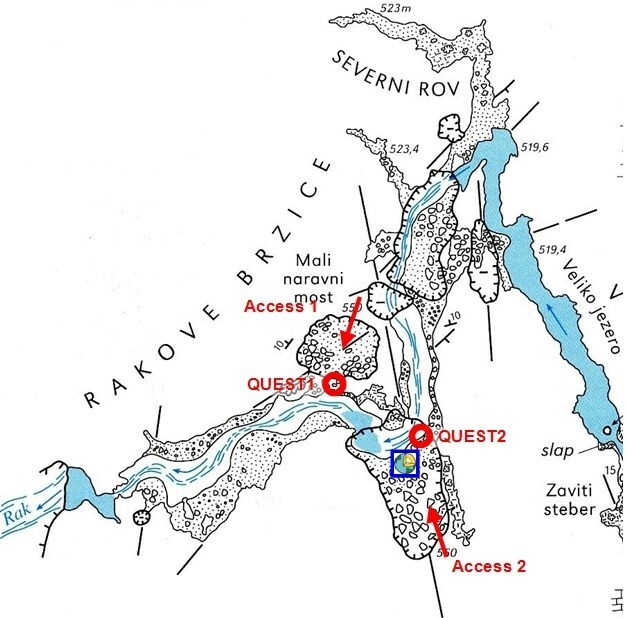 Ko pot doseze strugo Raka (waypoint QUEST1), odgovorite na prvo vprasanje. Ob nizjem vodostaju (vecji del leta) lahko po poti nadaljujete levo, oziroma skozi jamo, ob toku Raka navzgor. Ta vas privede v naslednjo udornico, kamor so postavljene koordinate Geološkega zaklada. Tam preckate simpaticni kamniti mosticek in pred podzemnim prehodom k naslednji udornici (waypoint QUEST2) odgovorite na drugo vprasanje. 2. S ceste Rakov Skocjan – Zelse: V udornico s koordinatami Geološkega zaklada se je moc spustiti po stezi naravnost s ceste. Tudi ob visokih vodah, ko so poti med udornicami ob Raku poplavljene. Ce razmere dopuscajo, predlagamo, da pot nadaljujete po skalni poti, skozi jamo, ob Raku navzgor. Ko vas znova oblije svetloba, stojite neposredno pod Malim naravnim mostom. Ta udornica je zagotovo najatraktivnejse mesto Rakovega Skocjana izven pravega jamskega sistema! Opomba: Poti uporabljate na lastno odgovornost! Hodite le po poteh za katere ste ustrezno pripravljeni! Zelimo vam varno pot in veliko uzitkov!